10 Days on the Road With ARI and VRS, Part 2 — Automotive Restorations, Inc.
It’s Saturday, October 28th: While our 3 racer’s reunion semis and one ARI 5th wheel head for Savannah and Hilton Head, Chris and Tim load up a VRS 5th wheel. 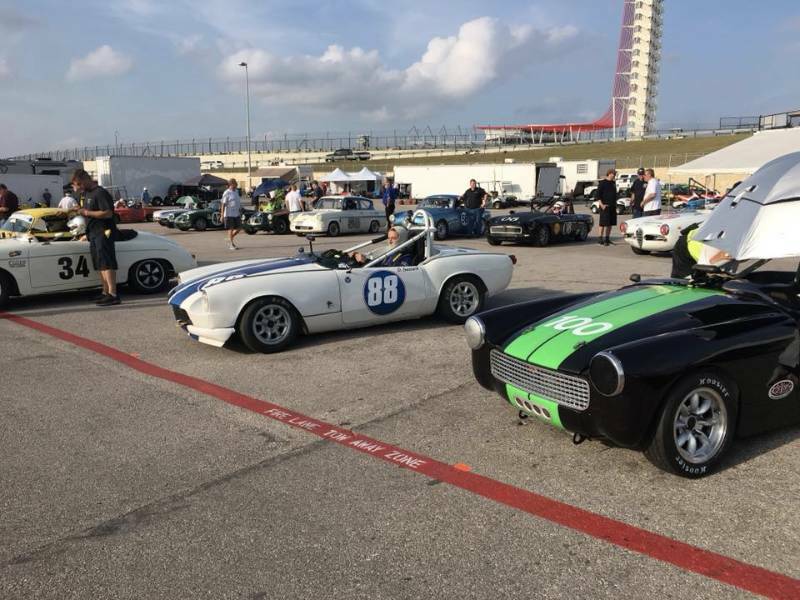 It is bound for SVRA’s Season Finale, the vintage championship event at San Antonio, Texas’, Circuit of the Americas. Everyone departs Sunday. Chris does the driving, time flies down and they meet up Wednesday, unload and are set up, covered up and ready. Under the tents: Marc Sharinn’s Carbir S2000, Jim Lenehan’s Porsche 914-6 and Dave Gussack’s trusty Triumph Spitfire. Practice starts Thursday!! Dave Gussack and his number 88 Triumph Spitfire had it all together for the SVRA Vintage championship 2017. Prepared is an understatement!!! He’d come so close last year only to break a differential on the last lap while leading his class. DAVE WAS DETERMINED!!! This was not happening in 2017!! Weeks ahead of time he had us optimizing everything. He then tested (and won a couple of races) at the VRG New jersey Motorsports event in September. He then had us go through every Spitfire nook and cranny again post NJMS. We were all confident that the car we sent south was about as prepared as a vintage race car can be ……………………….RESULTS?????? Dave did GREAT but racers Marc and Jim were not as fortunate. Marc missed a shift and bent a valve while Jim experienced a transmission melt down. Results show both were on pace but racing does take its toll on equipment. 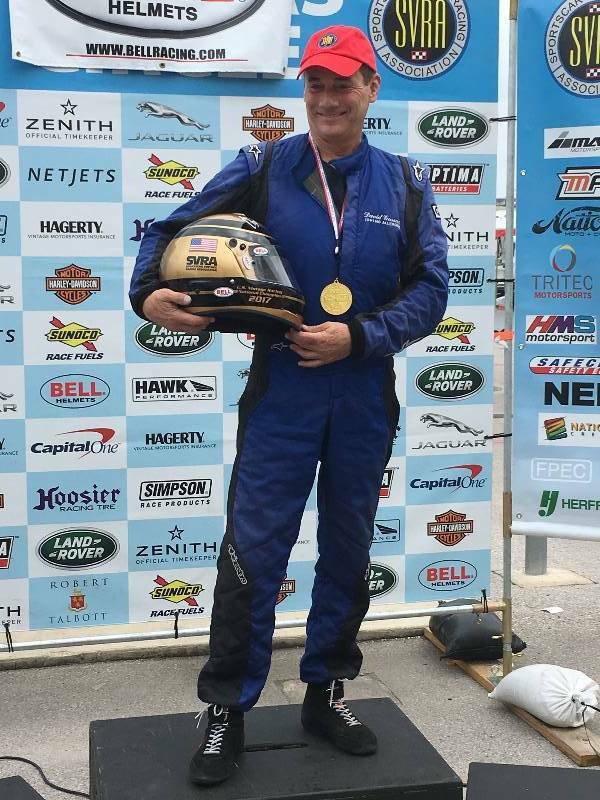 VICTORY – 1st in class, passed post win tech inspection (above) and Dave’s got his gold helmet! Well done Dave! !